If anyone can be considered a celebrity on the green wall scene, it’s Patrick Blanc. 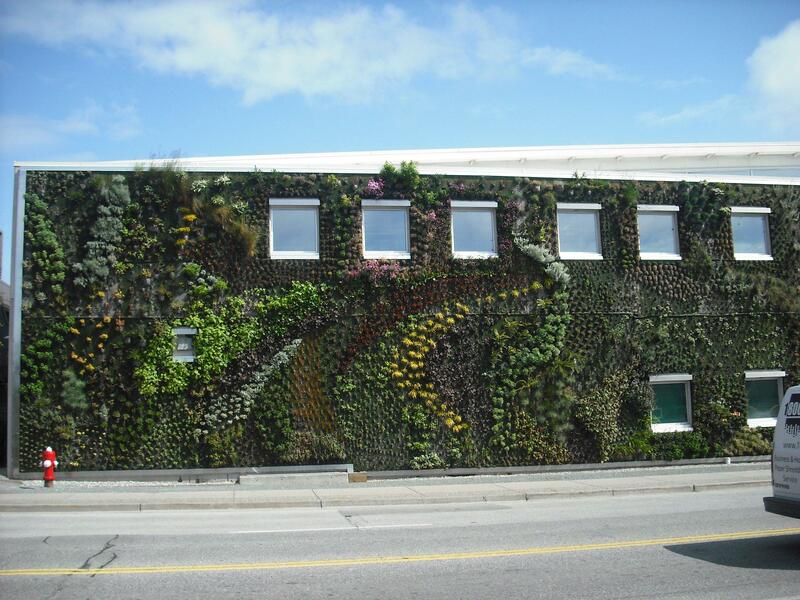 The French botanist has installed eye-popping vertical gardens all over the world, and is sometimes credited with inventing the concept altogether. His design for CaixaForum Madrid, an enormous shopping and cultural center, crawls four stories high and includes 15,000 plants from over 250 species. 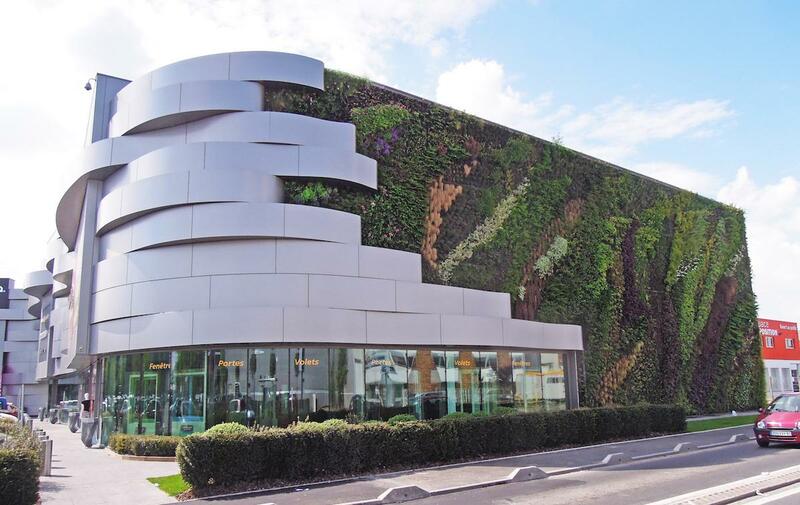 This colorful vertical garden draws inspiration from high altitude cloud formations, which makes sense, since it’s located in an airport. 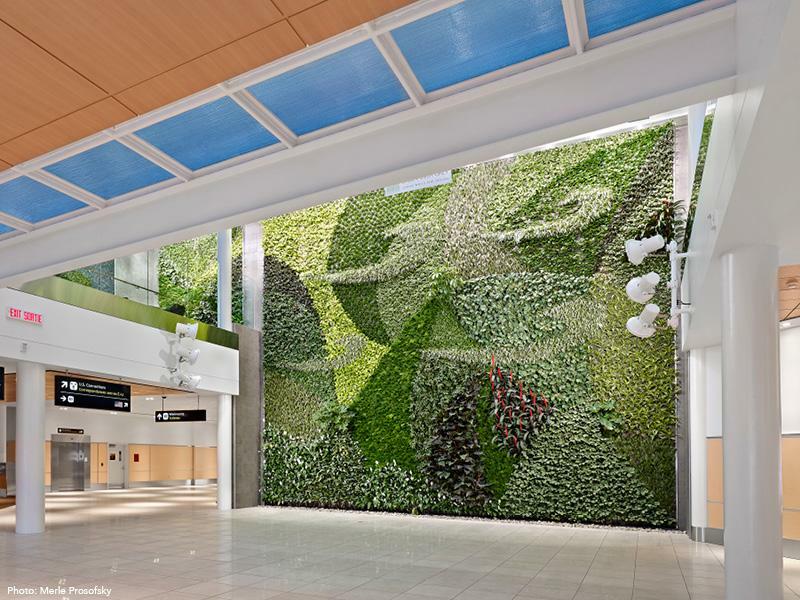 The wall opened in the arrivals hall of Edmonton International Airport in 2012, and it’s been beguiling travelers ever since. 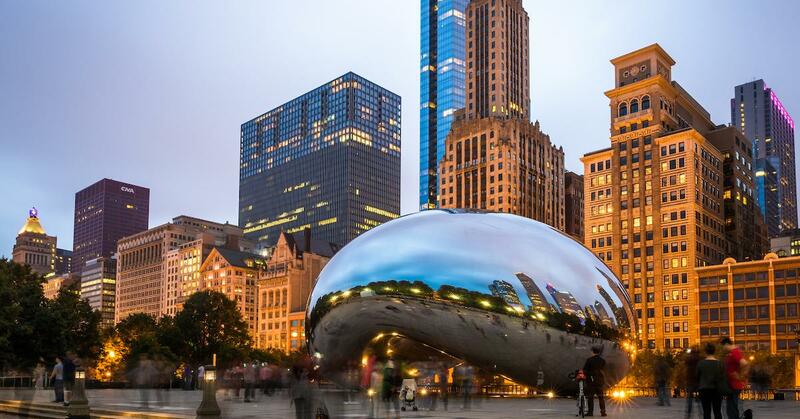 The designers consulted scientific studies to select plants that absorb air pollutants best, incorporating nine out of the 10 species recommended by NASA into the wall. 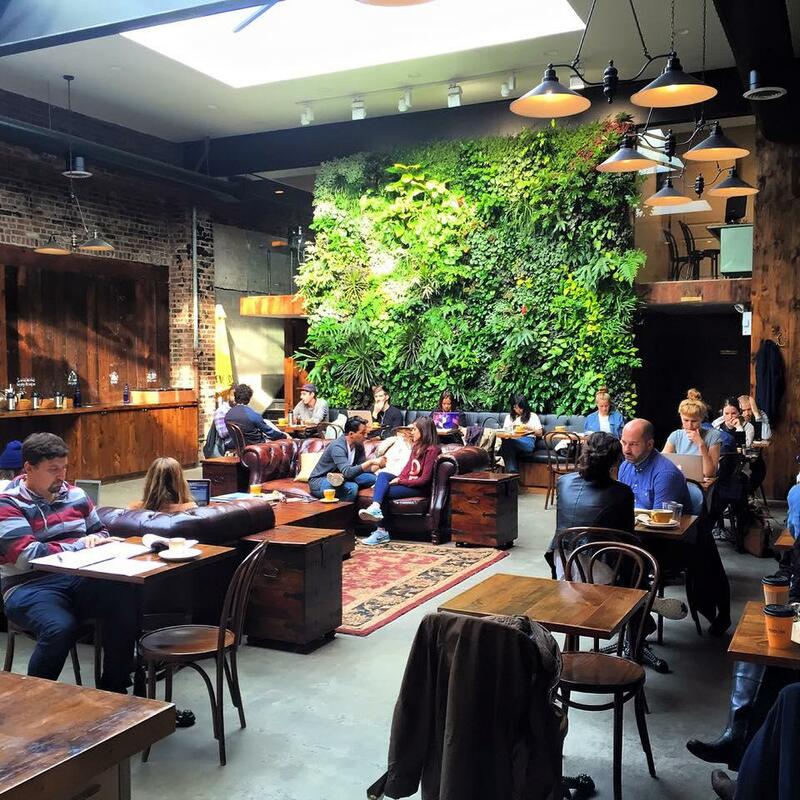 It isn’t just the Colombian coffee that keeps customers coming back to this cafe. The two-story green wall is also a huge draw, and it’s appropriately on theme. 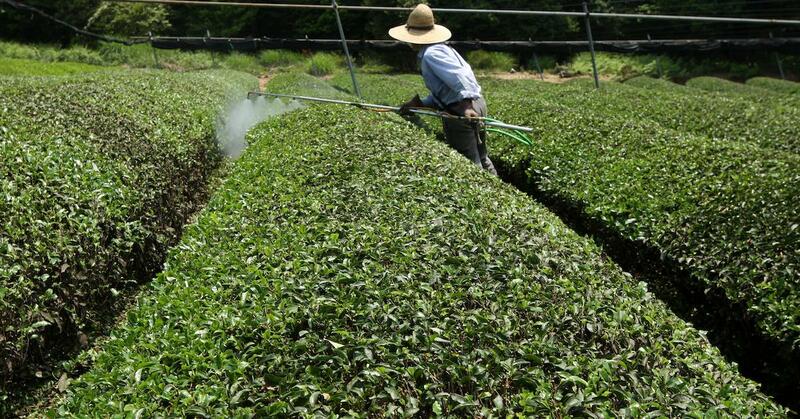 The garden includes several coffee plants native to Colombia, as well as some more generic philodendrons and ferns. 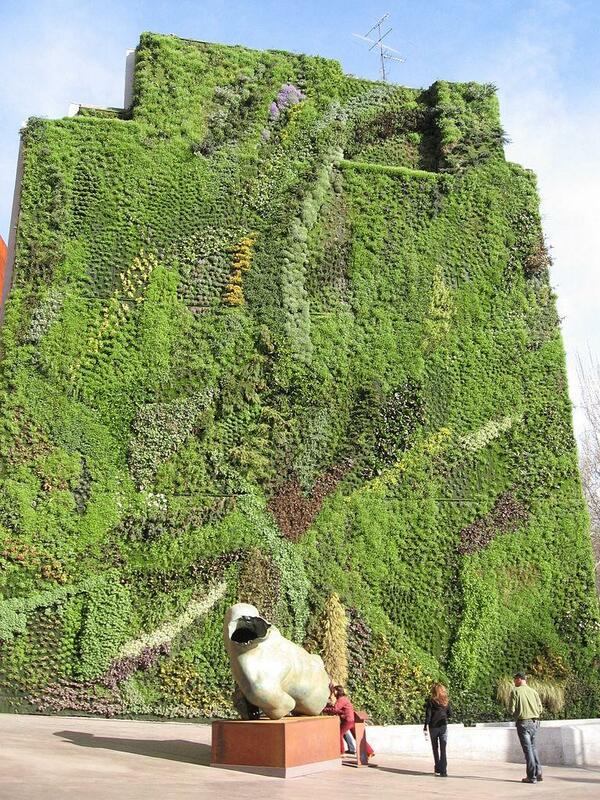 For a brief shining moment, this installation held the Guinness world record for the largest vertical garden on the globe. 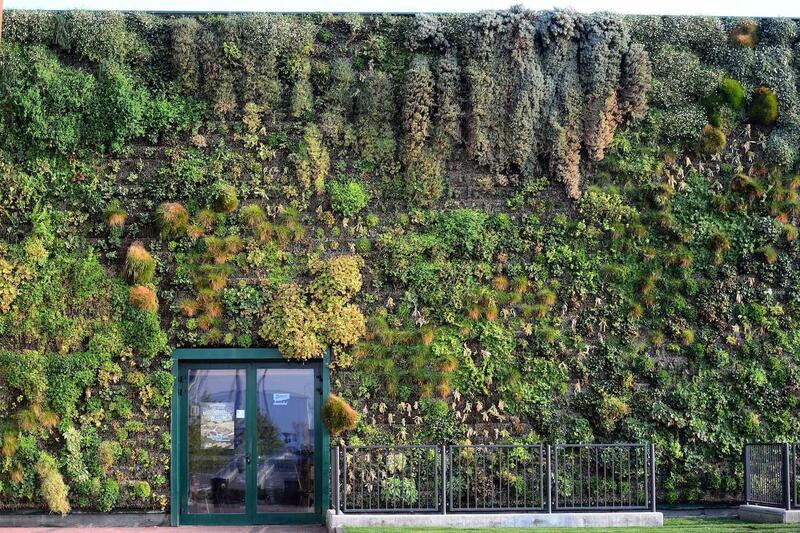 It’s since been dethroned, but the green walls of the Il Fiordaliso mall in Milan are still a marvel to look at. It wraps around most of the shopping center, totaling 13,954 square feet. Another Patrick Blanc creation, this garden was built in 2013 in his native Paris. The walls are streaked with purple, pink, and deep reds, giving the building the feel of a wild rainforest.